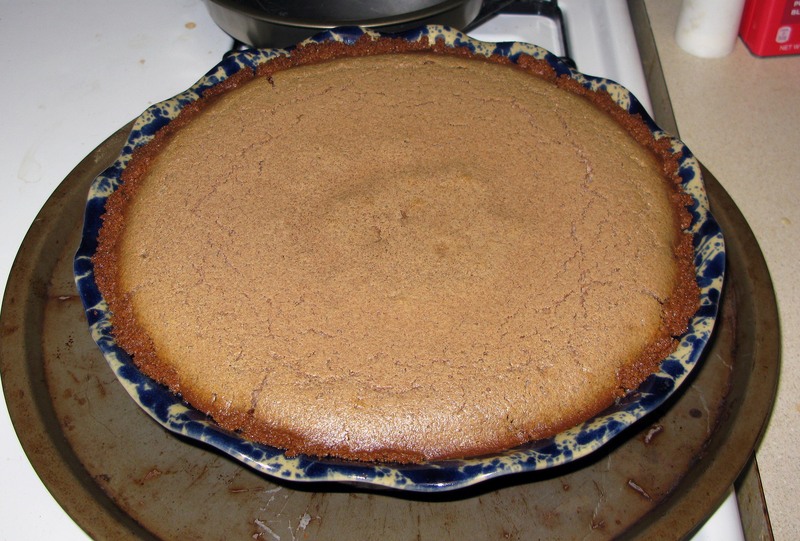 Cinnamon Pie | I Wanna Bake! I am pleased to say that I may have finally succeeded once and for all. This pie is based on the same ricotta custard that my eggnog and cannoli pies are based on, and that turns out to be an excellent vessel for a pure, cinnamon filling. I did originally steep some cinnamon sticks in my heavy cream, but that didn’t really yield any substantial flavor, so I omitted that step here. If I were to try again, I might try steeping a chai teabag in the cream like I did for my cinnamon tart. If you’re not in the mood for any of that fussiness, just use the plain old cream on its own. The crucial step here is to let this pie sit for a few days before serving. When I made this, I let it cool overnight, then eagerly cut into it the next evening. I was disappointed to find that once again, it just wasn’t the cinnamon pie I had been hoping for. 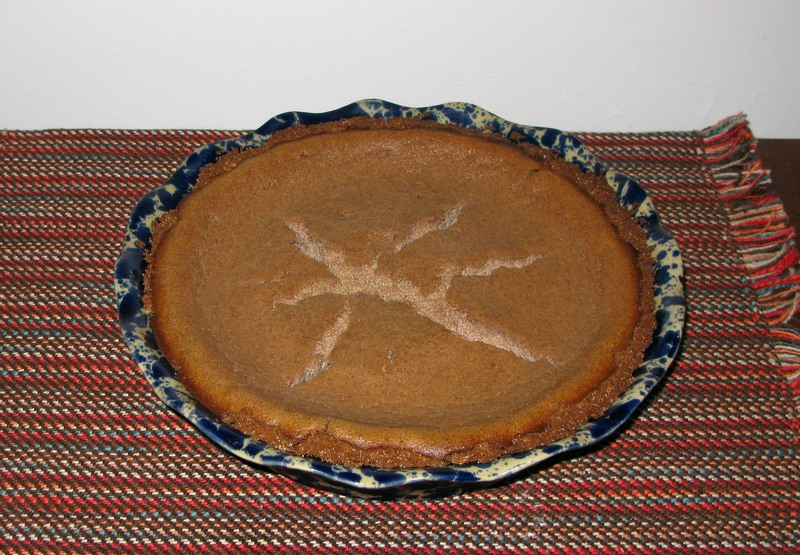 I was ready to add this recipe to my growing list of cinnamon pie failures, but something in me kept going back each day to see if anything had changed. Surprisingly, it did! Turns out that the cinnamon flavor takes a few days to develop, so you won’t reach peak cinnamon until approximately day 3 or 4. Of course, you can eat some before then, but you may be a bit underwhelmed with the level of cinnamon-iness. There are a few possible causes for this. First is dryness. I may have needed to increase the liquid a bit in the filling to counteract the added dryness from the cinnamon. It is also possibly that I baked it too long, which caused the filling to dry out. 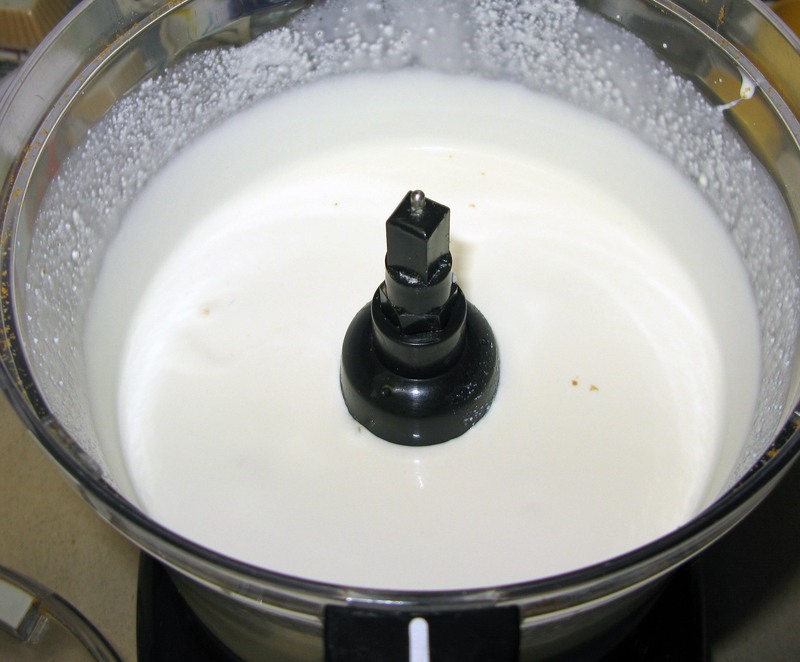 A potential remedy is to add a water bath like you would for a cheesecake. Next time I make this, I plan to give that a try. The second possibility is cooling too quickly. If the hot pie goes into a cold fridge, the filling may try to contract too quickly, resulting in the lovely fissures you see above. I don’t think this was the case for mine, as I let it sit out overnight, but it is something to watch out for. The final possibility (that I can think of) is over-mixing. This pie is very much like a cheesecake, and one of the main rules of cheesecakes is not to over-mix the filling. Keep in mind that when you’re mixing, it doesn’t have to be fully uniform. Some yellow streaks from eggs are just fine. 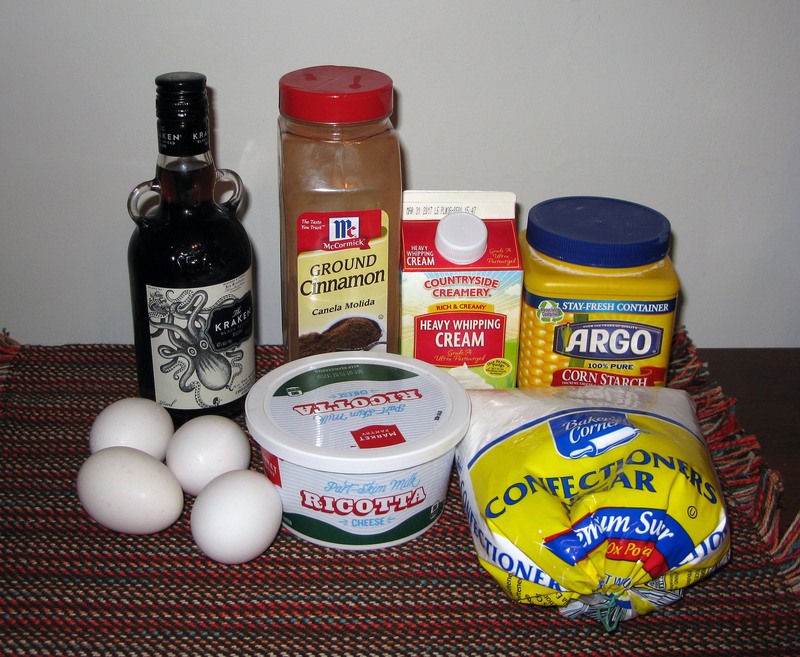 If you try all of these things and your pie still cracks, fear not! You can just cover it over with cinnamon rum sauce and no one will know the difference. I haven’t posted the full recipe and directions for the cinnamon sauce here because I mostly followed the recipe as written. I will note that I boiled the sauce for an additional 2 minutes after adding the rum because I wanted to cook off the alcohol. If you prefer a boozier taste, follow the recipe as written. I’ve been trying to get out of my musical rut lately, so I’ve been playing cd roulette with my baking music. This bakeventure was powered by the dulcet tones of Cody Belew, one of the contestants on the Voice a few years ago. If you’re looking for a modern-day analogue for Freddie Mercury, look no further than Cody Belew. 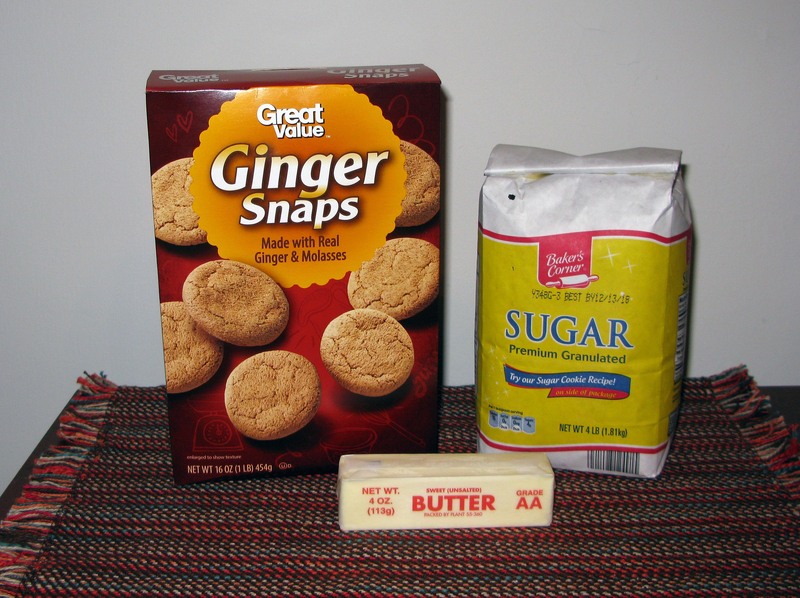 First, prepare your graham cracker crust according to these directions (or unwrap your store-bought crust). Note that I’ve increased the volume of cookie crumbs and butter slightly to better accommodate the deep-dish pie plate I like to use. If you want a thinner crust, you can use the measurements listed in the post. Don’t forget to use something to weight down the top of the crust, or it will end up puffy like mine did. If that happens, don’t panic! Just press down the puffy crust with a spoon when it comes out of the oven. Reduce your oven temperature to 325°F and set the crust aside to cool slightly. While the crust is cooling, combine the ricotta cheese and heavy cream in a food processor and process until the mixture is smooth. 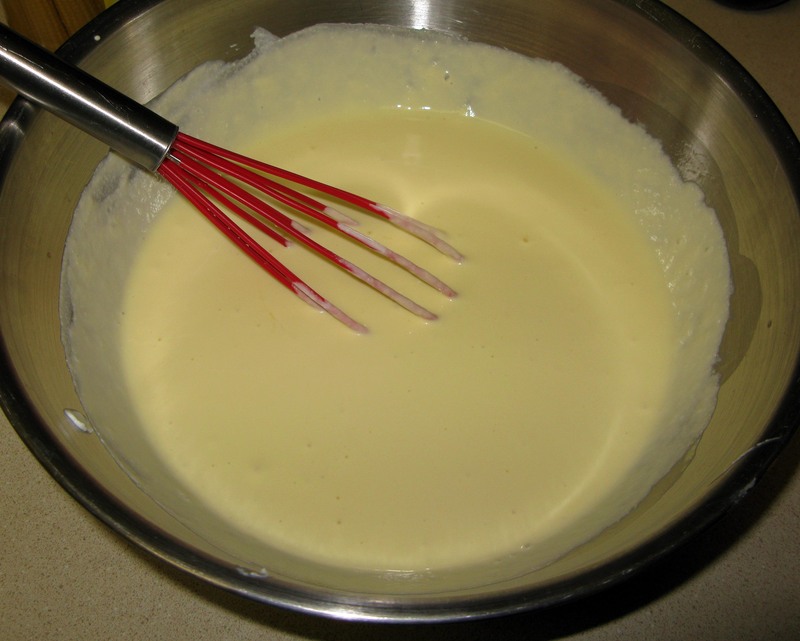 Transfer the contents of the food processor to a large mixing bowl and whisk in the eggs and rum until just combined (there may be some yellow streaks). 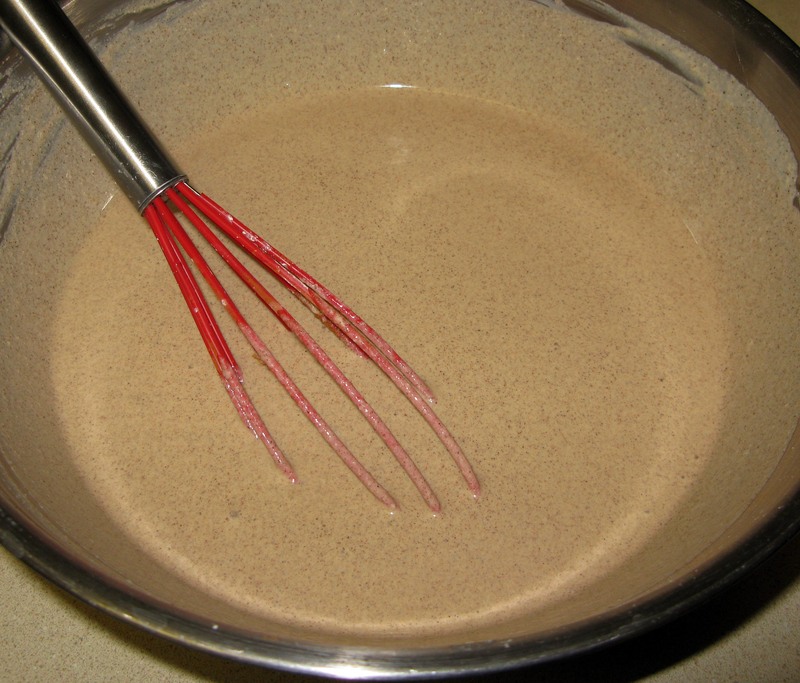 Add in the cornstarch, cinnamon, and powdered sugar and whisk until combined. Carefully pour the filling into the prepared crust. 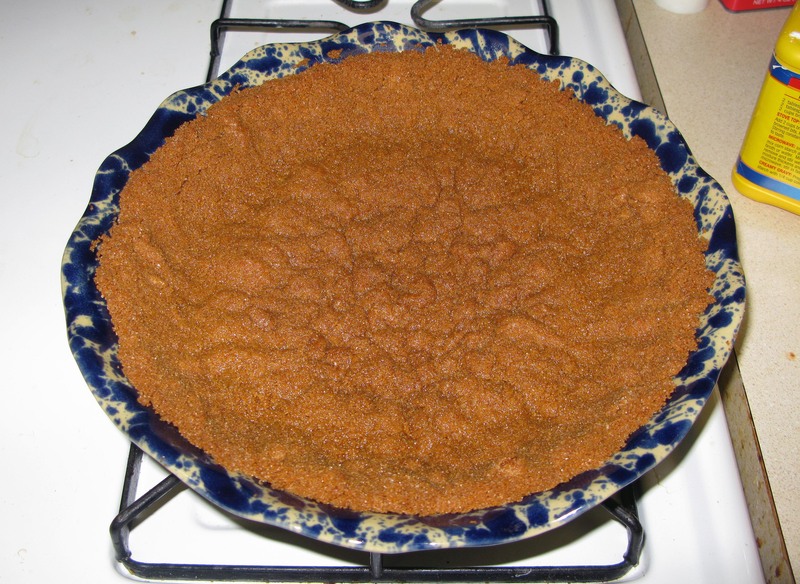 Bake the pie in the preheated oven for about 50 minutes, or until the top is JUST set (the photo below is a bit over-baked). 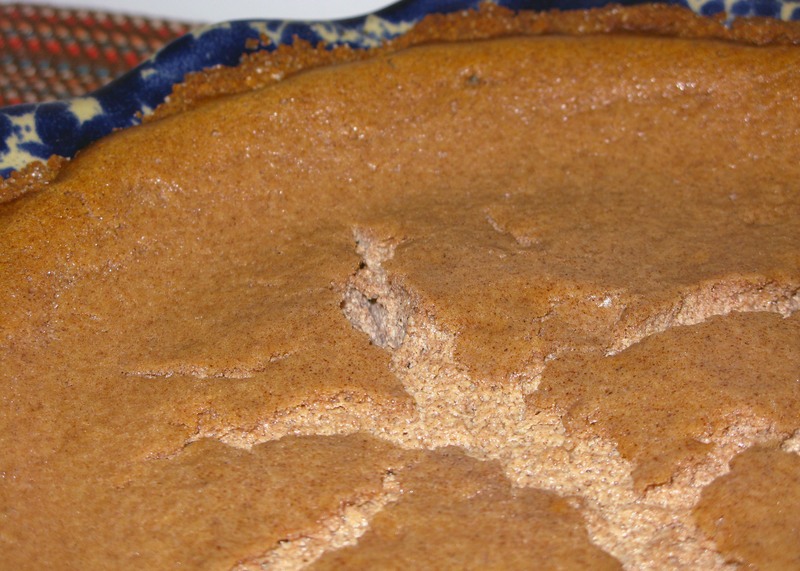 Do not over-bake, as this may lead to the spontaneous appearance of Grand Pie Canyon while it cools. 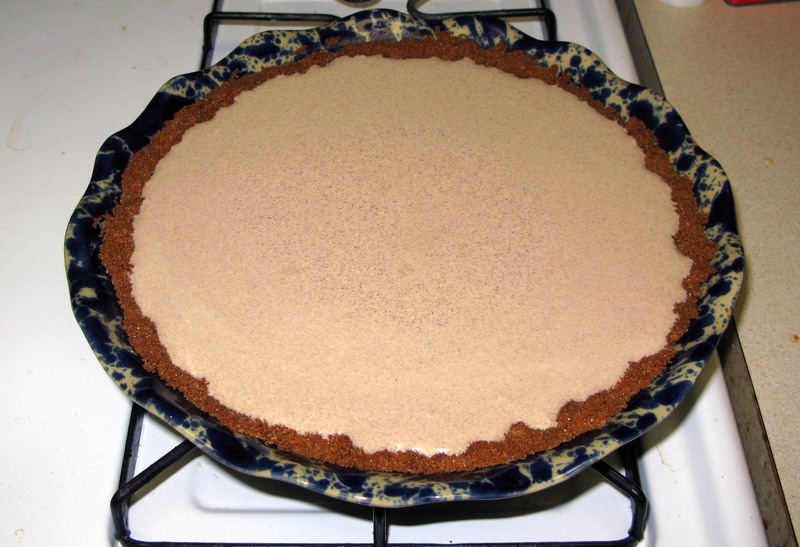 Cool the pie for an hour on a cooling rack, then overnight in the refrigerator to allow it to set fully. Prepare your cinnamon sauce and refrigerate as well. When you are ready to serve the pie (preferably after at least 3 days in the fridge), reheat the cinnamon sauce and pour over each slice. 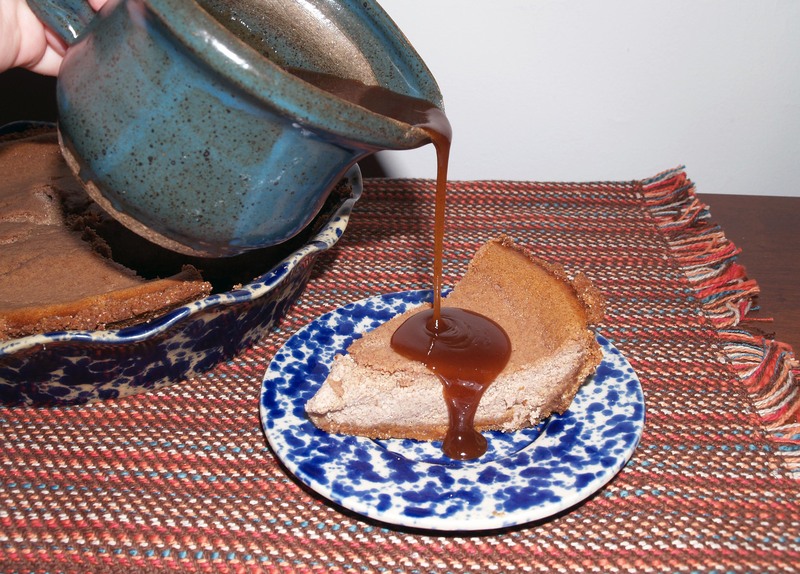 Alternatively, you can spread the thickened sauce over the top of the whole pie with a knife before serving. 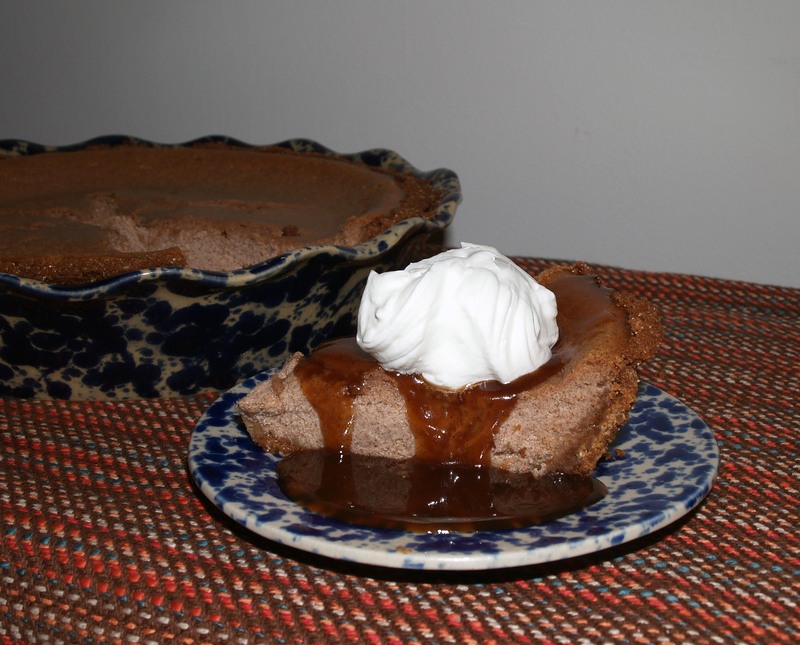 Serve with whipped cream if desired and continue to refrigerate leftovers.